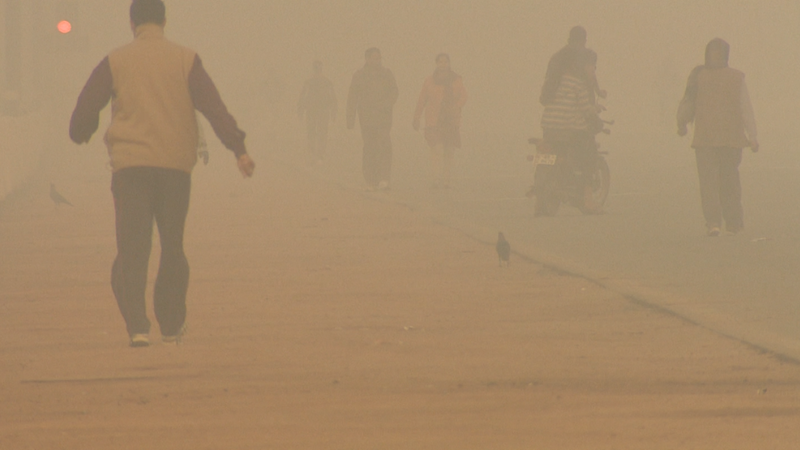 New Delhi is preparing to pull millions of cars off its streets for the second time this year as the local government searches for a way to improve air quality in the world's most polluted city. The driving restrictions, dubbed "odd-even," will limit drivers to using their cars on alternate days for two weeks starting Friday. The idea is that fewer cars on the road will reduce vehicle emissions and improve air quality. Just one problem: Experts say the program will likely have only negligible benefits, and is a far cry from the comprehensive approach needed to markedly improve air quality in the megacity of 20 million. "People are just rallying behind a feel-good policy," said Rahul Goel, an assistant professor at Shiv Nadar University, who studied traffic patterns during the initial phase of "odd-even" in January. Goel's team found that while car traffic eased during the experiment, potential emissions improvements were offset by an increase in the number of motorcycles and autorickshaws on the road. A second study, conducted by researchers from the University of Chicago, found there was a 10% decrease in air pollution levels during the program's initial phase. "Did it work in January? With a bunch of caveats, yes," said Santosh Harish, assistant director of EPIC India, who noted that changes in weather and commercial traffic patterns can make it difficult to identify the source of air pollution improvements. In Delhi, however, drastic improvement is needed. In 2014, the World Health Organization released data on air quality levels in 1,600 cities around the world, and the city was found to have the highest concentration of particulate matter smaller than 2.5 micrometers, also called PM 2.5. These microscopic particles are dangerous because their small size allows them to penetrate deep into people's lungs. Scientific studies have linked these particles to aggravated asthma, weaker lungs and premature death resulting from heart and lung disease. Other cities including Beijing and Mexico City have also restricted the use of cars on a permanent basis in an effort to improve air quality. Researchers agree, however, that this type of policy should be approached with caution. "I think the consensus among researchers is that this is a backwards, inefficient approach to addressing vehicle pollution," said Lucas Davis, a professor at University of California, Berkeley. Davis has conducted extensive research on the program implemented in Mexico City, which first limited car use in 1989. He found that carbon monoxide and ozone levels, along with other indicators of air quality, did not show any improvement over a period of eight years. Davis said he was discouraged that yet another major city had chosen a band-aid solution. "I think that policymakers are feeling desperate. They clearly have a very big problem and they're trying to address it," he said. "This is easy to grab for, and implemented easily." What is needed, Davis said, is a comprehensive, long-term solution that includes stricter emissions testing for cars.